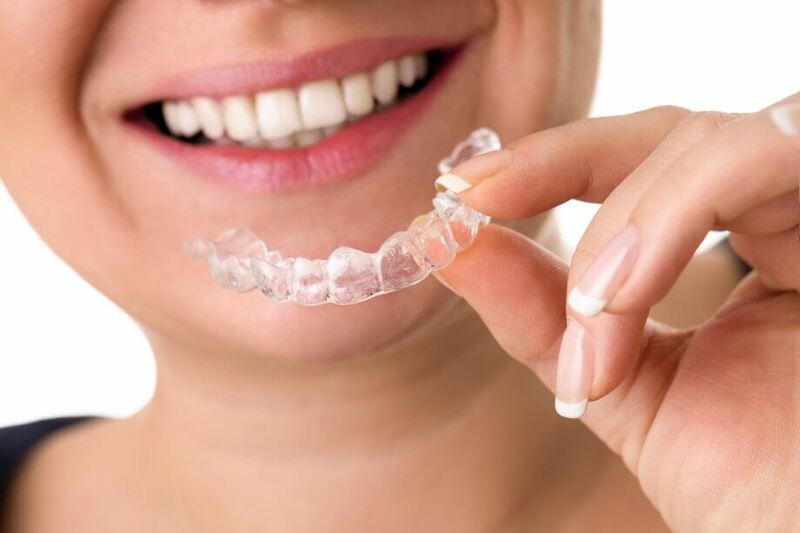 Invisalign is sometimes known as “the clear alternative to braces.” Straight teeth are not only beautiful, but they make chewing easier, they reduce the chances of developing problems in the jaw joints, and they are easier to clean. For more than a century, metal braces were the standard solution for straightening teeth, and they remain popular today. However, more and more people are now turning to Invisalign, as it offers some significant advantages. Here are just 5 benefits of Invisalign. The first step is to develop a 3D digital model of your teeth. We will morph it to show you what to expect from each stage of treatment, including the results, and then use that model to create a series of customized aligners that will gently shift your teeth. Invisalign’s smooth, comfortable, medical grade aligners have no sharp edges. Unlike metal braces, there is nothing to poke and scrape your mouth and tongue. In addition, Invisalign’s clear aligners are nearly invisible. No more flashing a mouthful of metal to your boss or your date. Braces mean extensively changing your lifestyle. You must learn how to clean around them, and you will be unable to eat a long list of foods, from popcorn to whole apples. Invisalign is removable and only needs to be worn approximately 22 hours per day. That means you can simply pop out the aligners to eat your favorite foods or to perform oral hygiene. If you play contact sports, we will advise you on whether to remove your aligners during play. Braces put a great deal of force on the teeth. Scraping and demineralization are relatively common, putting your teeth at greater risk for future damage ranging from cavities to cracking. Invisalign is smooth and gentle, so it is far less likely to cause damage. If you have a busy life, you will likely appreciate the simplicity of Invisalign. We will place attachments on your teeth and show you how to insert and remove the aligners. Then you will change aligners at home every two weeks or as directed, and you will see us for monitoring just once every four to six weeks. With braces, you will need regular appointments for adjustments. You must also make an emergency visit if anything goes wrong, such as a popped wire or loose bracket. In addition, Invisalign treatment is typically shorter in duration than braces treatment. Invisalign used to cost more than braces, but this is no longer always the case. With braces, you must factor in the price of adjustments and emergency appointments, as well as any desired enhancements such as colored metal. Invisalign’s transparent pricing model includes all visits, so you will know up front exactly how much you will pay. More and more dental insurance companies are now seeing the value of Invisalign as well, and many are willing to cover a portion of the costs. We will help you determine your exact out of pocket costs before we begin. If you are ready to start your journey to better oral health with a Cupertino dentist you can trust, contact Ryan Senft, DDS today at 408-996-8595 to schedule your first appointment. Welcome to the Cupertino dentistry of Ryan Senft, DDS! Our Silicon Valley dental team work together to provide a warm, comfortable and relaxing environment. Contact us today to request an appointment.